February marks Black History Month, 28 days devoted to the black women and men who have shaped the course of culture, technology, politics, and human development. 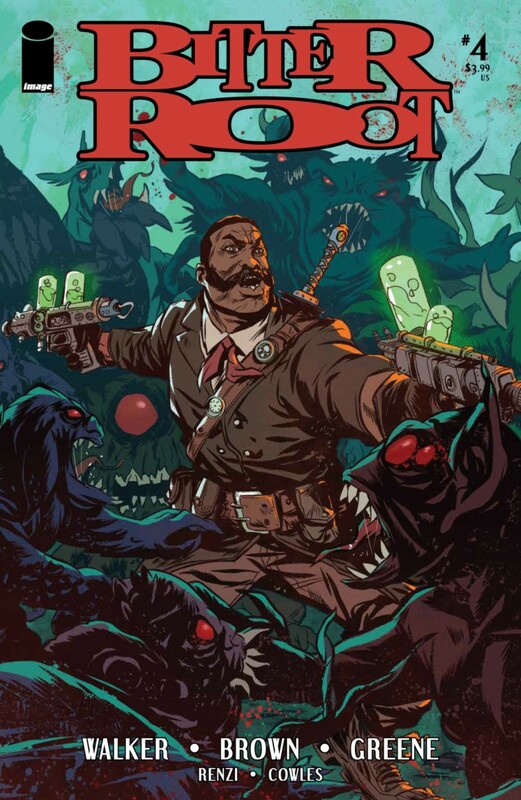 To help celebrate, John Arcudi and David Rubín's majestic monster mash, Rumble, is releasing a line of variant covers courtesy of Keith Pollard, Arvell Jones, Ron Wilson, Chris Brunner, and Sanford Greene. These covers pay homage to the creators' own vintage covers, as well as two homages to Black comics' pioneers Matt Baker and A.C. Hollingsworth, courtesy of Chris Brunner and Sanford Greene, respectively. Here are eight more comics to read in celebration of Black History Month. Bingo Love is the heartwarming, life-affirming story of two queer black women who find, lose, and find each other again over the course of nearly five decades. 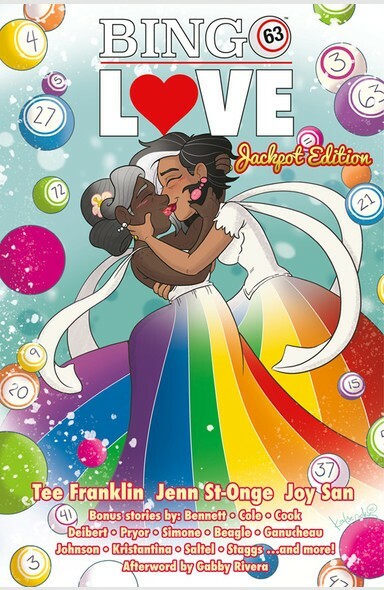 A massive Kickstarter success that eventually saw three printings in its debut year, Bingo Love went on to an impressive array of Best-of lists, including Amazon Book Review’s Best Comics & Graphic Novels of 2018, NPR’s Best Books of 2018, Newsweek’s Best Comic Books of 2018, The Advocate’s Best LGBTQ Graphic Novels of 2018, Book Riot’s Best Comics of 2018, Autostraddle’s 50 of the Best LGBT Books of 2018, and the Texas Library Association's 2019 Maverick Graphic Novel Reading List. Creator and writer Tee Franklin, a black, queer, disabled woman, is credited for starting the popular hashtag #BlackComicsMonth, which aims to make comic book fans more aware of talented black comic creators and their diverse comic book characters and superheroes that already exist in the industry. The Harlem Renaissance was an explosion of culture, creativity, and new ideas, but it’s rarely been showcased in comic books. The team behind Bitter Root uses the era as the backdrop for their monster-hunting family and does so beautifully. David F. Walker, Chuck Brown, and Sanford Greene pack these pages with action and mayhem as the Sangeryes fight to save New York—and the world—from all manner of beast, rooted in a vivid analogy of racism. And while the punches hit hard, there’s more going on beneath the surface. The creators tackle big questions about hate, retaliation, and contrasting ideals. Past collides with present in Ronald Wimberly’s book of quotes from the black community. 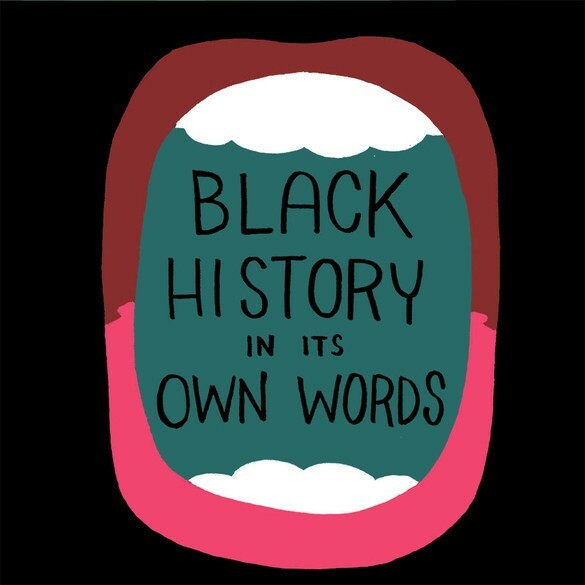 Black History In Its Own Words collects wisdom from luminaries who shook (and are still shaking) the world in myriad ways—and Wimberly’s deft hand illustrates them with an energy that makes their words pulse on the page. This is a master artist at work and an incredibly sharp curator who puts historic figures like Mary Ellen Pleasant in the same realm as rap icons like Ice Cube. The result is profound and touches on creativity, love, politics, race, and what it means to be human. 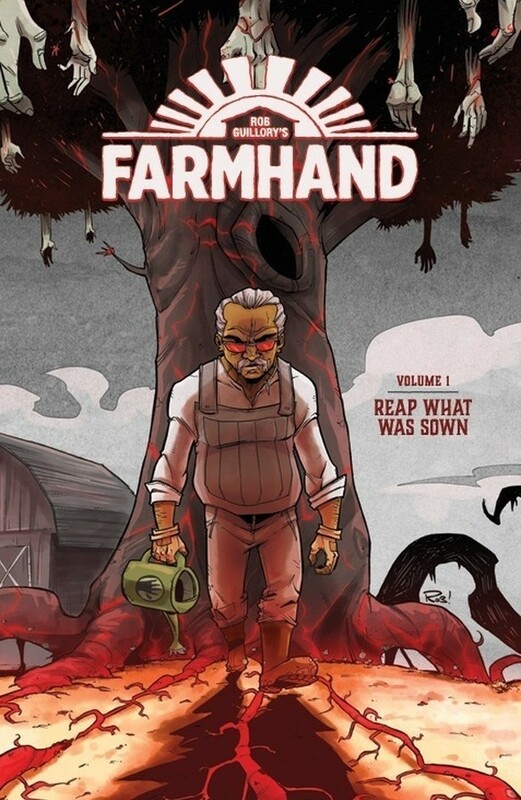 After his A+ work on Chew, Rob Guillory decided to strike out on his own as both writer and artist, creating a series that mixes body horror and humor in unexpected ways. Farmhand sees family man Ezekiel trying to reunite with his father after a long time apart—which gets a bit strange, seeing as how his pops owns a giant farm that grows body parts for transplants. Those crops? Nose flowers, scalp bushes, lungs, hands, and heart plants. But there’s something sinister at play beneath the soil. Once you dive in, you’ll be...rooting...for Farmhand until the cows come home. What? You expected no cheesy puns? Brian Stelfreeze has solidified himself as one of the most stylized, inimitable comic artists in the industry, as seen in his recent Black Panther collaboration with Ta Nehisi Coates. An original member of Atlanta’s Gaijin Studios and the current art director of 12-Gauge Comics, Stelfreeze’s serial killer thriller with writer Devin Grayson, Matador, will receive a new printing on May 22nd. The six-issue graphic novel revolves around Cuba-born Lt. Isabel Cardona as she pursues a serial killer. 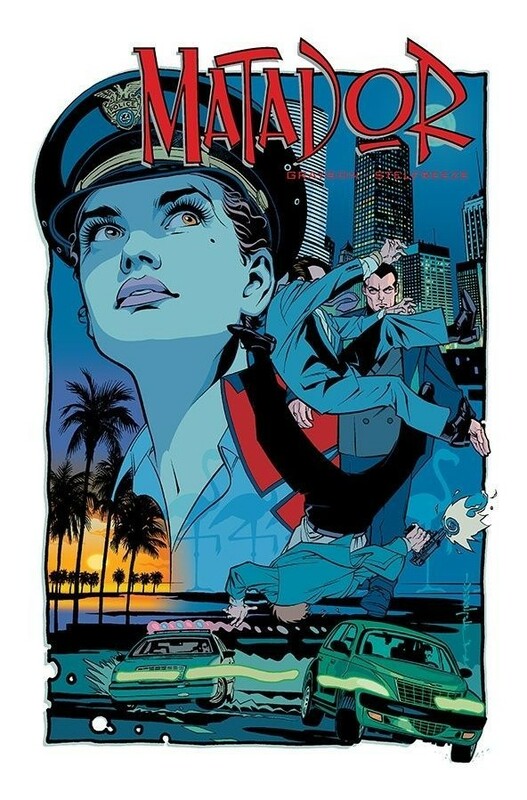 Set in Miami, the story dives into the racism Cardona faces when she receives a “quota minority hire” brand from her co-workers as she struggles to connect a series of murder cases to the titular Matador—an urban legend assassin. Stelfreeze blends his orchestrated action with a surreal color palette (alongside colorists Lee Loughridge and Michelle Madsen)—rich violets, alarming greens, and infernal oranges—to craft the perfect heart-attack boiler. 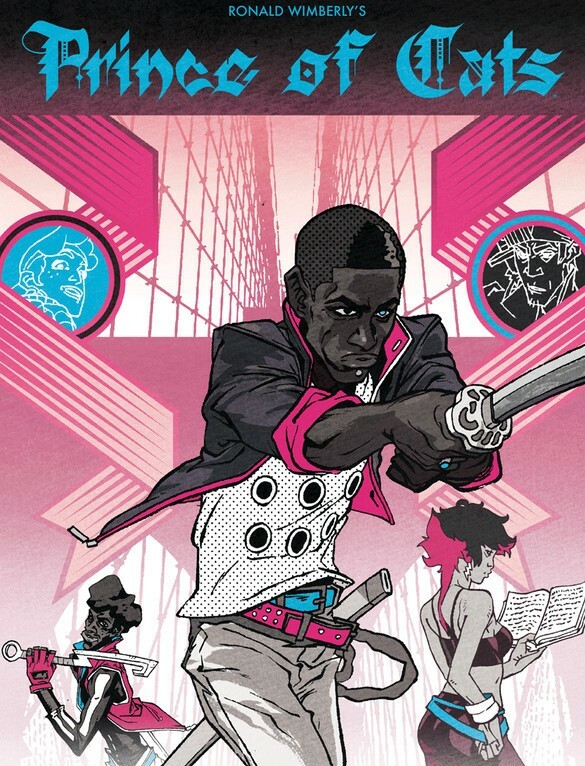 Ronald Wimberly channels Shakespeare’s famous tragi-romance in Prince of Cats, but the work reflects the pre-gentrified asphalt festival of Brooklyn as much as The Globe Theatre. The NYC borough—a staple in all of Wimberly’s original books—remains a hallowed ground of hip-hop rhyme slings and ice cream trucks, and balletic fight sequences as brutal as they are graceful. It’s a geographic love letter to ‘80s NYC and the black culture that would soon envelope cultural trends, before the city would tragically morph into a blur of grotesque lofts. As the name implies, Tybalt drives the narrative, dancing around (and before) the larger plot beats of Romeo and Juliet with a larger focus on action and violence. The samurai epics of Akira Kurosawa and '70/80s grindhouse color the street battles in brilliant flashes of neon and shadows, an inspired reflection of the movies that would have played in Manhattan on 42nd street during the era. The final experience is more than a comic; it’s a time and a place articulated through Wimberly’s singular pen, and an evolution of the cultural inputs he adores. Its debut issue out today, Vindication tackles a bleak reality: police disproportionality target (and kill) black and brown people. Writer MD Marie and artists Carlos Miko and Dema Jr. dive into the sociological fault lines that fuel this inequality throughout their four-issue miniseries, Vindication. The first issue opens with a young adult named Turn Washington leaving prison after 10 years of incarceration; a judge has overturned his conviction in light of inconclusive DNA evidence. 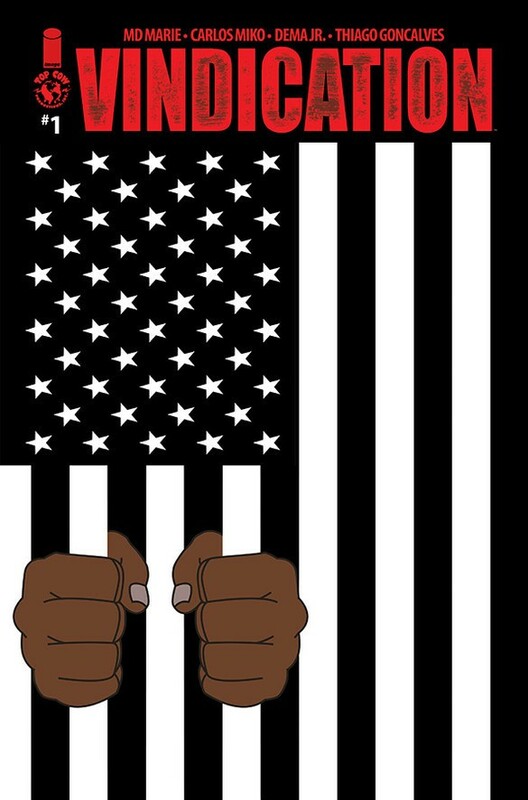 But various state forces have vowed to return Washington behind bars—whether he deserves it or not. Marie takes a holistic perspective, exploring the psychology of misguided detectives and institutional racism that perpetuate gross acts of injustice. The resulting narrative won’t make anyone sleep better at night, but it does provide a character-driven overview into the systems that hobble our social progress. 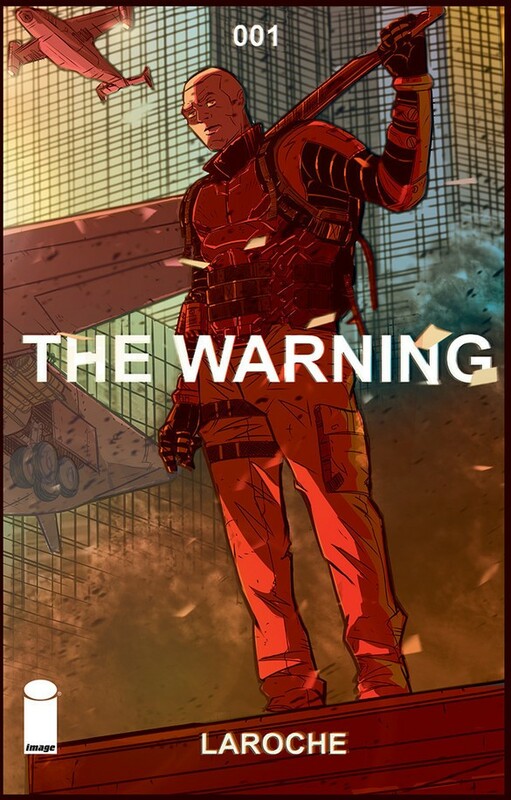 The Warning is a thinking man’s war epic. Writer/artist Edward Laroche choreographs a massive alien invasion, starting with a self-building tower and continuing with a frantic aerial dogfight. But the cartoonist contrasts that biblical sci-fi doom against conflicts far more philosophical; soldier Joshua contemplates his karmic role in the conflict, reflecting on whether a bee carries the soul of a former contact before prepping for battle. The panels zoom into the most fragile of situations before expanding into portraits of global destruction. Laroche’s experience as a storyboard artist in advertising translates perfectly to his comic; he uses spacious, vertical paneling to convey big ideas through resonant imagery, mirroring the same thoughtful pacing as Terrence Malick. The Warning confirms Laroche as a preeminent innovator of genre fiction, crafting a war story designed to get hearts beating and minds pondering.